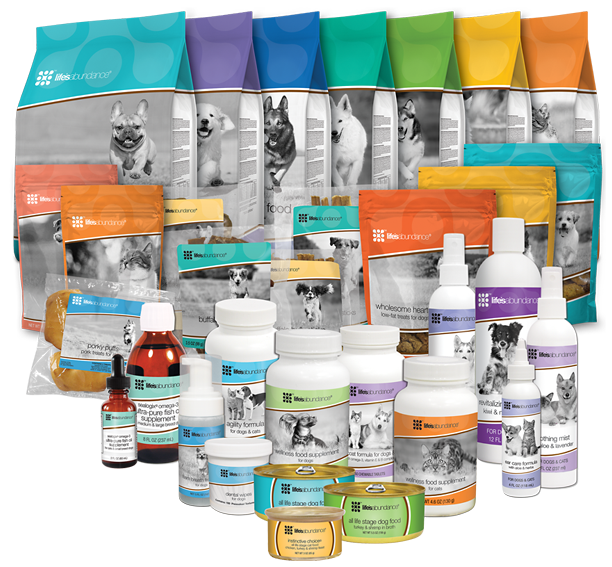 I am so excited to introduce you to Life’s Abundance Premium Health Dog (& Cat) Food. I have been searching for a quality product to work in to my breeding program and at long last, have found what I’ve been searching for. All my dogs are now switched over to Life’s Abundance. Our puppies come with a health guarantee, however, because dog food quality varies from very poor to excellent, we require you maintain your puppy on either Life’s Abundance dog food or NuVet dietary suppliments if you want an extended health guarentee. You are considering purchasing an expensive dog and naturally you want guarantees that your new addition will be a healthy, happy addition to your family. I am selling you an expensive dog. I want guarantees that it will be fed quality dog food to assist in it’s development. Nutritional considerations must be a priority in your puppy’s new life. For those of you who look at the price of Life’s Abundance dog food and get a little sticker shock, I encourage you to take time to watch the video below by John Albrecht that compares price per pound and shows us that just on comparison alone, Life’s Abundance dog food is cheaper than most dog foods. When you then begin comparing ingredients, how quickly Life’s Abundance dog food arrives at your door after the manufacturing process (no older than 6 weeks post processing), and the health benefits that can reduce your veterinarian visits, you’ll see that Life’s abundance dog food is indeed cheaper than most dog foods on so many levels. Life’s Abundance is nutrient-dense so you don’t have to feed as much as other brands to provide a higher level of nutrition. They use a fast-cook process to help preserve every ingredient’s natural goodness. All of the ingredients are selected based upon their unique nutrient content, superior quality and the way they work together to enhance the overall nutritional value of their foods. Because Life’s Abundance uses only wholesome ingredients, this natural flavored kibble contains no artificial color or flavors, no corn, no wheat, and no glutens. If you have any questions about feeding your dog (or cat) Life’s Abundance, please don’t hesitate to contact me. I believe this food and products of Life’s Abundance is by far superior to anything you can purchase across the counter and am representing the company as an Independent Field Rep. To learn more about Life’s Abundance, go to my website, www.DuckCreek.HealthyPetChallenge.com .